Background: A recent series of experimental and clinical studies have demonstrated the negative effects of nicotine such as ischemia and necrosis of skin flaps. In order to overcome the negative effects of nicotine numerous studies have been conducted with various agents and methods. In this study, we investigated the effects of amlodipine (AML) on flap survival in nicotinized rats. Materials and Methods: Thirty Sprague Dawley rats were randomly divided into three groups: Group A nicotine; Group B nicotine + AML; Group C control group. The rats in Group A and B have received nicotine for 4 weeks before the surgical intervention. At the end of the 4th week, MacFarlane flaps were elevated and adapted back by suturing in all groups. In Group B, AML has been administered to the rats after the surgery and continued for 10 days. All the flaps were visualized with fluorescein angiography and underwent histopathological assessment. The necrotic areas of the flaps were measured as well. Results: The necrosis rate in Group A was found to be significantly higher compared to Group B (P < 0.001). The perfusion rates in Group B were found to be significantly higher when compared to Group A (P < 0.05). Vascular proliferation was found to be significantly higher in Group B compared to Group A and C (P < 0.05). Vasodilation rates were significantly higher in Group B and C (P < 0.05). Conclusions: AML was found to be useful to enhance flap survival in nicotinized subjects. Its clinical use might be promoted in the future with the help of further studies supporting our findings. Cigarette smoking is a worldwide problem. The WHO guesses that there are now nearly 1.3 billion smokers in the world, and 84% of them live in the developing world. Cigarette smoke contains more than 250 components, among which the adrenergic activator and vasoconstrictive substance nicotine is the best known., A recent series of experimental and clinical studies have demonstrated the negative effects of nicotine such as ischemia and necrosis of skin flaps.,,,,,, Even side-stream smoking has been found to affect random-pattern skin flap survival in rats. In order to overcome the negative effects of nicotine, studies with hyperbaric oxygen therapy, sildenafil citrate, phosphodiesterase-5 inhibition, angiotensin 1–7, TENS (transcutaneous electrical nerve stimulation), buflomedil, pentoxifylline, and calcium channel blockers (CCBs) (mainly verapamil and nifedipine) have been reported in the literature.,,,,,,, Amlodipine (AML) is a widely used CCB to treat patients with hypertension. It dilates vessels by blocking the calcium uptake through voltage-gated calcium channels which leads to a decrease in the vascular tone. AML has also been shown to stimulate local nitric oxide release and have some antioxidant features.,, In this study, we hypothesized that amlodipine enhances flap survival in nicotinized rats by providing sufficient vasodilation and angiogenesis. This study has been conducted with the approval of the Local Ethics Committee at Uskudar University Experimental Research Unit. Thirty Sprague Dawley rats weighing between 200–400 g were used. The rats were randomly divided into three groups as follows: Group A nicotine; Group B nicotine + AML; and Group C control group. The rats in Group A and B have received nicotine (Sigma-Aldrich®) (2 mg/kg, twice a day, per oral) for 4 weeks before the surgical intervention. On the day of surgery, ketamine hydrochloride (50 mg/kg) and xylazine (10 mg/kg) were administered intraperitoneally for anesthesia. MacFarlane flaps (9 × 3 cm) were elevated and adapted back by suturing in all groups [Figure 1]. In Group B, after the adaptation of the flaps, AML (2.5 mg/kg/day) has been administered to the rats through oral gavage and continued for 10 days. On the 10th day, all the flaps were visualized with SPY Intraoperative Perfusion Assessment System (Lifecell Corp., Branchburg, NJ, USA). Once the femoral vein was dissected, 0.5 mg/kg indocyanine green (ICG) was administered as a bolus to each rat. The digital images showing the perfusion rates in both necrotic and healthy areas of the flaps were recorded to be compared. After imaging with ICG was completed, all the rats were euthanized, and flaps were excised for histopathologic assessment. The necrotic areas of the flaps were measured by projecting them on transparency paper. The specimens were fixed with 10% neutrally buffered formalin. After fixation, they were processed routinely and embedded in paraffin. 5 mm sections were obtained from the tissue blocks, which were obtained from the transitional area between healthy and necrotic zones, and stained with hematoxylin and eosin and CD105 (endoglin). Immunohistochemical staining for CD105 antibody (clone SN6 h, 1:10, DAKO North America, CA) was used to determine the newly formed vascular structures. Histopathological assessment was performed under a light microscope in terms of neutrophil infiltration, chronic inflammation, vascular proliferation, and vasodilation. The quantitative analysis of the findings was done by the pathologist as follows: (1) low, (2) intermediate, and (3) high. The pathologist was also blinded to the study groups to prevent tendentiousness. Statistical analyses were perusing the SPSS for Windows version 15.0 program. The data for ordinal variables were reported as mean, Standard Deviation and median. For groups having more than two ordinal variables, Kruskal Wallis test was performed. Subgroup analyses were performed with Mann–Whitney-U test and interpreted with Bonferroni correction. The categorical variables were analyzed with Chi-square test with Monte Carlo simulation. Differences at P < 0.05 were considered to be statistically significant. In all rats, the necrotic areas of the flaps were measured by projecting them on transparency paper. The necrosis rate in Group A was found to be significantly higher compared to Group B (P < 0.001) [Figure 2] and [Table 1]. The data provided by the SPY system showed that the distal segments of the flaps in Group A had decreased perfusion (mean perfusion index: 18.6% [3.1%–24.8%]), whereas the same areas in Group B and C demonstrated better perfusion rates (mean perfusion index: 58.9% [40.2%–94.8%]) [Figure 3]. The perfusion rates in Group B were found to be significantly higher when compared to Group A (P < 0.05). The microscopic data were compared in all three groups in terms of neutrophil infiltration, vascular proliferation, and vasodilation [Figure 4]. 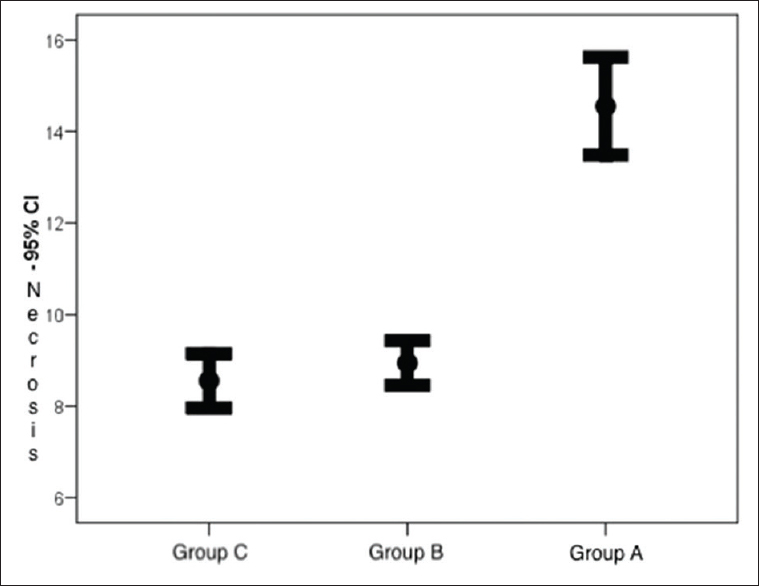 Neutrophil infiltration was found to be higher in Group A compared to Group B and C (P < 0.05). Vasodilation rates were significantly higher in Group B and C (P < 0.05) [Table 2] and [Figure 5]. Staining with CD105 showed that vascular proliferation was significantly higher in Group B compared to Group A and C (P < 0.05) [Figure 6]. Numerous clinical and experimental studies demonstrated the detrimental effects of smoking and nicotine on flap survival.,,,,, Nicotine has been shown to cause vasoconstriction and intravascular thrombosis mainly through changing the levels of vasoactive substances such as catecholamine, prostaglandin, and thromboxane A2 levels., It also reduces the proliferation of red blood cells, fibroblasts, and macrophages. Hence, smoking causes hypoxia in tissues while interfering with wound healing. It is well-known that the most distal part of a flap is more prone to ischemic injury because of its distant localization to the pedicle. Random flaps are composed of three parts according to their localizations to the pedicle: distal, proximal, and critical zone. The prevention of ischemia in the critical zone is crucial to prevent flap necrosis. Taking into account the vasoconstrictor effects of nicotine, an ischemic injury in a random flap in a nicotinized subject is much more likely to occur. In their study, Forrest et al. showed that nicotine affects the viability of random flaps in rats by impairing capillary blood flow. It has also been shown that smokers are more likely to develop necrotic damage after surgery. Numerous vasodilator agents were examined to overcome vasoconstriction such as phosphodiesterase inhibitors, papaverin, pentoxifylline, amrinone, lidocaine, magnesium sulfate, sodium nitroprusside, prostaglandine E1, hydralazine, phentolamine, chlorpromazine, and CCBs, nifedipine, and verapamil in particular. Various studies have been conducted to improve flap survival in nicotinized subjects. Mauad et al. studied the effects of buflomedil and pentoxifylline on flap survival in rats. Both buflomedil and pentoxifylline were found to increase flap survival, but none of them was superior to the other. Aker et al. also recommended pentoxifylline use in patients who cannot quit smoking to reduce skin flap necrosis. In their study, Baykan et al. showed that sildenafil citrate enhanced skin flap survival without a significant effect on blood flow. In another study, the same author concluded that angiotensin,,,,,, is beneficial to improve flap survival by promoting angiogenesis. Electrical stimulation has been found to increase flap survival in ischemic flaps. Nifedipine is a strong vasodilator, however, its effect on flap survival is controversial. As with nifedipine, verapamil is also an effective vasodilator with additional effects, the most important being prevention of the free radical damage. Kilinc et al. reported that verapamil administered flaps showed better survival, whereas nifedipine administered flaps showed no effect. They suggested that the beneficial effect of verapamil on flap survival may be attributed to verapamil's effect on free oxygen radical-mediated injury. Besides verapamil also was shown to cause less reperfusion injury. Rinker et al. concluded that the use of nifedipine and verapamil may provide a means of reducing the perioperative risk in active smokers who require skin flap surgery. Qin et al. applied azithromycin-AML-heparin gel to the infected random ischemic flaps transdermally in rats and they asserted that gels without azithromycin have no effect on the survival of infected ischemic flaps. In the present study, we preferred to use amlodipine to provide vasodilation to enhance flap survival in nicotinized rats. AML is a dihydropyridine CCB and has been extensively used in various cardiovascular and non-cardiac conditions. Apart from treating hypertension, it also attenuates LDL-induced endothelial dysfunction and has protective effects on ischemia-perfusion induced heart injury, and AML can also inhibit angiotensin-converting enzyme to some extent while enhancing nitric oxide release. In their study, they also concluded that AML promotes ischemia-induced neovascularization by activating endothelial progenitor cell mobilization from bone marrow in diabetic rats. AML is also known for its antioxidant features and Dogan et al. suggested that AML has protective effects on ischemia/reperfusion injury in rat testis torsion model by decreasing free radicals and increasing antioxidants. The SPY system is a fluorescence imaging system utilizing ICG. It shows flap perfusion via sensitive topographic evaluation. ICG binds to the globulins in the bloodstream, alfa-1 lipoproteins in particular. Perfusion is demonstrated 1–2 s after intravenous injection of ICG. The SPY system provides objective data with numeric values. In our study on the 10th day, before the rats were euthanized, ICG was administered to all of the rats and the data regarding perfusion rates were collected via the SPY system. The analysis of the data revealed that the perfusion rate in Group B was significantly higher than that in Group A (P < 0.05). The rate of necrosis in Group A was higher compared to Group B, and this was statistically significant. The images obtained with the SPY system support our findings. Our results also showed that the vasodilator effect of AML was sufficient to enhance flap survival in nicotinized subjects compared to those did not receive AML. The microscopic evaluation revealed that the vasodilation rates were higher in Group B compared to Group A.
Vascular proliferation was expected to increase in all groups since ischemia promotes angiogenesis. However, the data showed that there was a significant increase in vascular proliferation in Group B. We believe that AML may have promoted angiogenesis by means of enhancing NO release as Sun et al. suggested. Since smokers are more likely to have cardiovascular problems including hypertension, AML may be utilized both to treat hypertension and to improve skin flap survival in case of a surgical intervention in such patients if suitable. However, this assertion should be supported with further experimental and clinical studies. AML was found to be useful to enhance flap survival in nicotinized subjects. Its clinical use might be promoted in the future with the help of further studies supporting our findings. Collishaw NE. The millennium development goals and tobacco control. Glob Health Promot 2010;17:51-9. Goodson WH 3rd, Andrews WS, Thakral KK, Hunt TK. Wound oxygen tension of large vs. small wounds in man. Surg Forum 1979;30:92-5. Gottrup F, Firmin R, Chang N, Goodson WH 3rd, Hunt TK. Continuous direct tissue oxygen tension measurement by a new method using an implantable silastic tonometer and oxygen polarography. Am J Surg 1983;146:399-403. Chang DW, Reece GP, Wang B, Robb GL, Miller MJ, Evans GR, et al. Effect of smoking on complications in patients undergoing free TRAM flap breast reconstruction. Plast Reconstr Surg 2000;105:2374-80. Nolan J, Jenkins RA, Kurihara K, Schultz RC. The acute effects of cigarette smoke exposure on experimental skin flaps. Plast Reconstr Surg 1985;75:544-51. Goodwin SJ, McCarthy CM, Pusic AL, Bui D, Howard M, Disa JJ, et al. Complications in smokers after postmastectomy tissue expander/implant breast reconstruction. Ann Plast Surg 2005;55:16-9. Padubidri AN, Yetman R, Browne E, Lucas A, Papay F, Larive B, et al. Complications of postmastectomy breast reconstructions in smokers, ex-smokers, and nonsmokers. Plast Reconstr Surg 2001;107:342-9. Selçuk CT, Kuvat SV, Bozkurt M, Yaşar Z, Gülsün N, Ilgezdi S, et al. The effect of hyperbaric oxygen therapy on the survival of random pattern skin flaps in nicotine-treated rats. J Plast Reconstr Aesthet Surg 2012;65:489-93. Rees TD, Liverett DM, Guy CL. The effect of cigarette smoking on skin-flap survival in the face lift patient. Plast Reconstr Surg 1984;73:911-5. Mosely LH, Finseth F. Cigarette smoking: Impairment of digital blood flow and wound healing in the hand. Hand 1977;9:97-101. Gazzalle A, Teixeira LF, Pellizzari AC, Cocolichio F, Zampieri JT, Rauber D, et al. Effect of side-stream smoking on random-pattern skin flap survival in rats. Ann Plast Surg 2014;72:463-6. Demirtaş A, Azboy I, Bulut M, Uçar BY, Alemdar C, Alabalık U, et al. 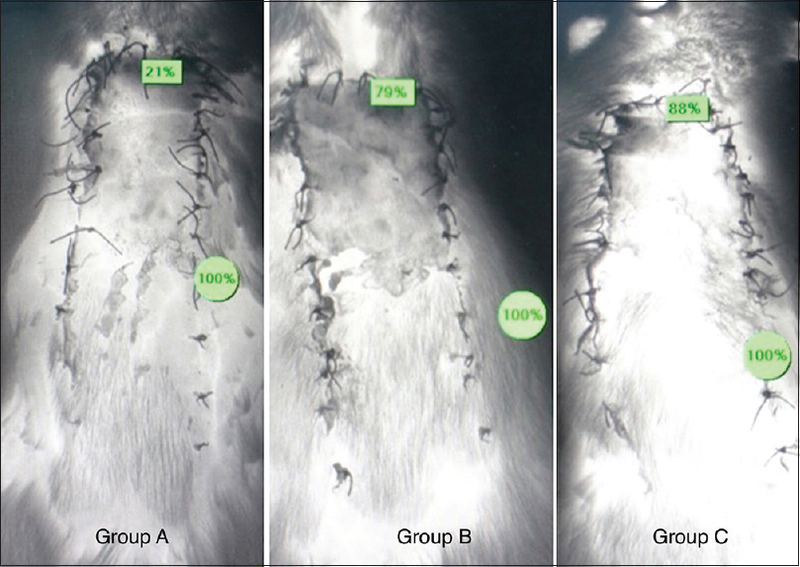 The effect of hyperbaric oxygen therapy on fracture healing in nicotinized rats. Ulus Travma Acil Cerrahi Derg 2014;20:161-6. Baykan H, Ozyazgan I, Selçuk CT, Altiparmak M, Ozköse M, Ozyurt K, et al. Effect of sildenafil citrate in nicotine-induced ischemia: An experimental study using a rat model. Can J Plast Surg 2013;21:217-20. Shah A, Pfaff MJ, Assi R, Wu W, Steinbacher DM. PDE-5 inhibition improves skin flap viability in rats that are exposed to nicotine. Microsurgery 2014;34:390-7. Baykan H, Günay GK, Ozyazgan I, Soyuer I. The effect of angiotensin (1-7) on survival of random pattern skin flaps with nicotine-induced ischemia in rats. Ann Plast Surg 2012;68:88-93. Özyazgan İ, Baykan H. The effect of TENS on random pattern flap survival in nicotinized rats. Ann Plast Surg 2015;74:365-70. Mauad RJ Jr., Shimizu MH, Mauad T, de Tolosa EM. Buflomedil and pentoxifylline in the viability of dorsal cutaneous flaps of rats treated with nicotine. J Plast Reconstr Aesthet Surg 2006;59:387-92. Aker JS, Mancoll J, Lewis B, Colen LB. 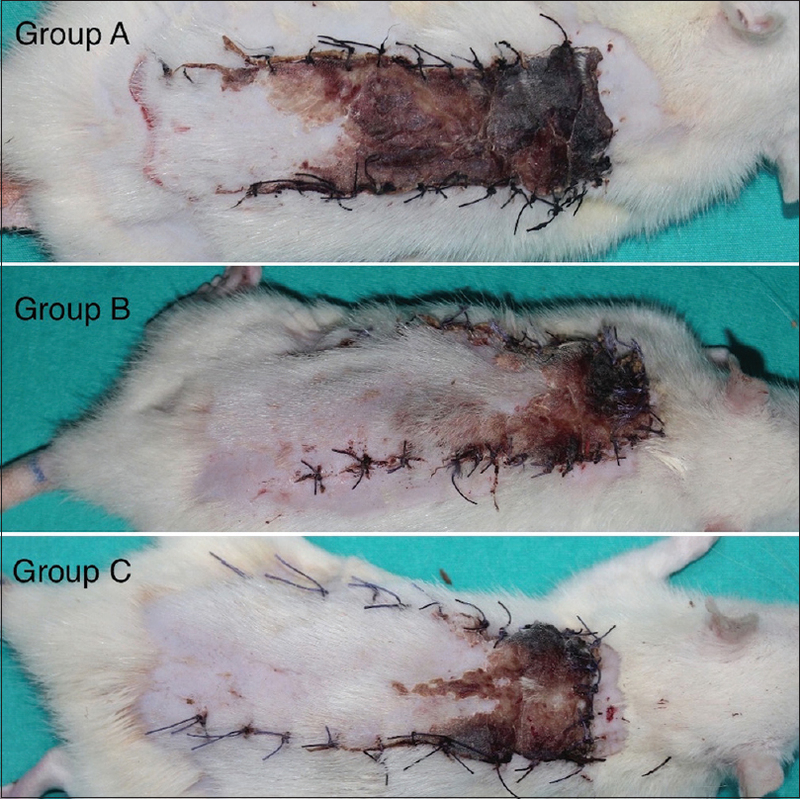 The effect of pentoxifylline on random-pattern skin-flap necrosis induced by nicotine treatment in the rat. Plast Reconstr Surg 1997;100:66-71. Rinker B, Fink BF, Barry NG, Fife JA, Milan ME. 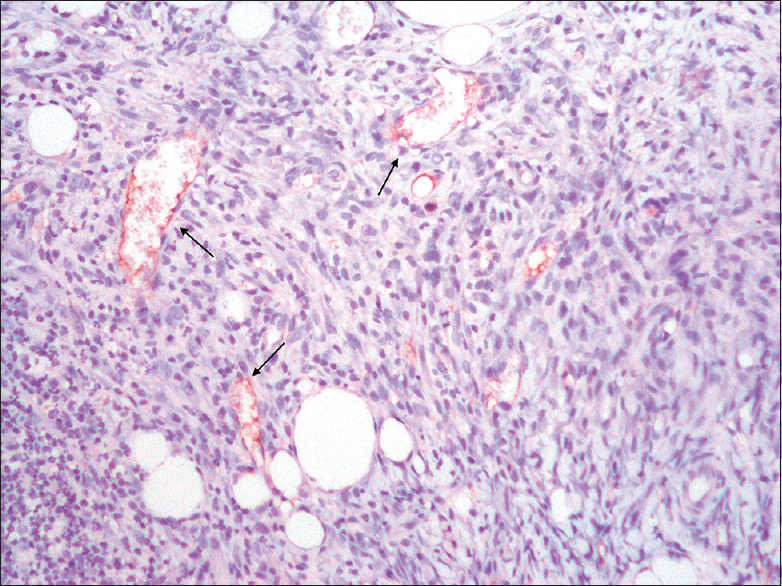 The effect of calcium channel blockers on smoking-induced skin flap necrosis. Plast Reconstr Surg 2010;125:866-71. Qin YH, Jiao HS, Li AS, Jiao Y, Wei LM, Zhang J, et al. Transdermal application of azithromycin-amlodipine-heparin gel enhances survival of infected random ischaemic flap. J Plast Surg Hand Surg 2015;49:319-26. Dogan C, Halici Z, Topcu A, Cadirci E, Karakus E, Bayir Y, et al. Effects of amlodipine on ischaemia/reperfusion injury in the rat testis. Andrologia 2016;48:441-52. Sun J, Xie J, Kang L, Ferro A, Dong L, Xu B, et al. Amlodipine ameliorates ischemia-induced neovascularization in diabetic rats through endothelial progenitor cell mobilization. Biomed Res Int 2016;2016:3182764. Forrest CR, Pang CY, Lindsay WK. Dose and time effects of nicotine treatment on the capillary blood flow and viability of random pattern skin flaps in the rat. Br J Plast Surg 1987;40:295-9. Chan LK, Withey S, Butler PE. Smoking and wound healing problems in reduction mammaplasty: Is the introduction of urine nicotine testing justified? Ann Plast Surg 2006;56:111-5. Jackson L, Marrow J, Robert D 2nd. Drugs used for the Treatment of Myocardial ISCHEMIA, in The Pharmacological Basis of Therapeutics. 10th ed. New York: McGraw-Hill; 2001. p. 843. Komorowska-Timek E, Chen SG, Zhang F, Dogan T, Lineaweaver WC, Buncke HJ, et al. Prolonged perivascular use of verapamil or lidocaine decreases skin flap necrosis. Ann Plast Surg 1999;43:283-8. Forrest CR, Pang CY, Lindsay WK. Pathogenesis of ischemic necrosis in random-pattern skin flaps induced by long-term low-dose nicotine treatment in the rat. Plast Reconstr Surg 1991;87:518-28. Restifo RJ, Ward BA, Scoutt LM, Brown JM, Taylor KJ. Timing, magnitude, and utility of surgical delay in the TRAM flap: II. Clinical studies. Plast Reconstr Surg 1997;99:1217-23. Vargas CR, Iorio ML, Lee BT. A systematic review of topical vasodilators for the treatment of intraoperative vasospasm in reconstructive microsurgery. Plast Reconstr Surg 2015;136:411-22. Kilinc H, Aslan SS, Bilen BT, Eren AT, Karadag N, Karabulut AB, et al. Effects of verapamil, nifedipine, and daflon on the viability of reverse-flow island flaps in rats. Ann Plast Surg 2013;71:610-4. Giunta RE, Holzbach T, Taskov C, Holm PS, Brill T, Busch R, et al. Prediction of flap necrosis with laser induced indocyanine green fluorescence in a rat model. Br J Plast Surg 2005;58:695-701. Kutryk MJ, Stewart DJ. Angiogenesis of the heart. Microsc Res Tech 2003;60:138-58. Virdis A, Giannarelli C, Neves MF, Taddei S, Ghiadoni L. Cigarette smoking and hypertension. Curr Pharm Des 2010;16:2518-25.